A relaxed intimate restaurant in the heart of Padstow. Locally sourced meat, fish and veg. What a little treasure of a restaurant, tucked away on the cobbled streets of Padstow, we enjoyed an exquisite spiced jewel of a feast. The food is served Tapas style and is cooked to perfection. The chef adapted dishes to suit our children and the whole meal was lovely! 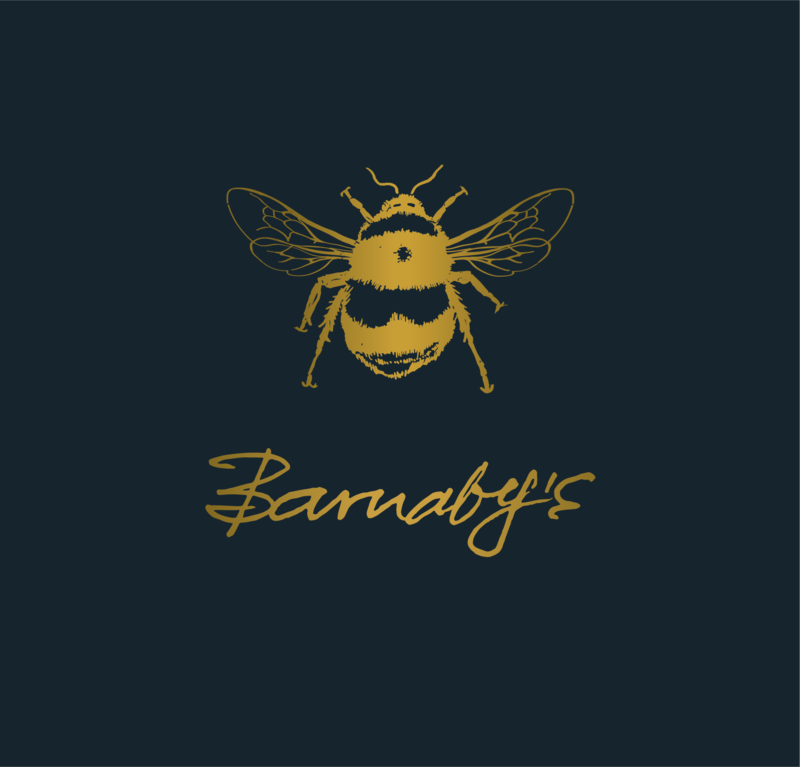 Loved our evening at Barnaby’s. Menu was exciting, service food and atmosphere were great we will definitely be back. Enjoyed the meal a little bit different from the norm, wine good and had nice table in the window, service was functional and efficient. Lovely evening with fantastic food. really enjoyed the experience and will definitely go again. What a fantastic meal my partner and I had. An introduction to his species can elevate some of the most simple ingredients we take for hrs yes. Fantastic table in the window and such a warm, welcoming service. Other supposed more prestigious venues should take note. We cannot wait to visit again. Staff were very informative and had great knowledge of the food and were really attentive and friendly. Can completely understand needing to give the table back due to the small space; we didn’t feel rushed but were reminded that we only had the table for 2 hours. Despite the restaurant being really small the atmosphere was excellent and it was great being able to see the kitchen. Would highly recommend if you’re struggling to find someone that isn’t mainly seafood in Padstow. Lovely intimate restaurant. Great food. Lovely staff. Our waitress was from my home town and was really delightful. We will definitely return next time we are here. Bathroom was spotless with lovely local hand soap and diffuser that we went to buy today from the harbour. Great wine too and reasonably priced. We had 8 dishes between 4 of us which was plenty, a couple of glasses of Prosecco and a bottle of Barbera which my husband said was slightly too warm but I really enjoyed it. Our daughter and her friend had ice cream for desert and a couple of large bottles of sparkling water. The bill was £210 which was very reasonable for what we had and the service. So glad we found and booked in to this place, the sharing plates were fantastic, the atmosphere welcoming, staff were fantastic we had a brilliant evening and would whole heartedly recommend a visit here! Friendly staff who knew alot about the menu and offered help with ordering. Every dish we had was an absolute taste sensation and can highly recommend the cauliflower, popcorn mussels and the lamb skewers! Had a lovely evening, will definitely be back. Staff were lovely and the food was amazing. We had a fantastic family meal. Service was great, atmosphere friendly and relaxed. Food was delicious. Would recommend to highly to others . Great food in a warm and relaxing atmosphere. Great food, good atmosphere, pleasant staff. Exceptional food and great service. Very individual. Our second visit, we will return! Very good vegan option, as well as very friendly and helpful staff. Would definitely recommend. Lovely young waitress looked after us (sorry can't remember her name!) She was fantastic. We were encouraged to try something new...mussel popcorn which was delicious. Fantastic evening thank you. Clean plates for each course would be good. Wonderful food and fantastic service, will definitely be back! Staff were great but our table was still occupied when we arrived and we had to wait in the street for 10 mins until it was vacated and relaid. Potatoes and cauliflower were excellent but chicken croquettes seemed to contain no discernible chicken at all, though they tasted good. Not yet to the same standard as Prawn on the Lawn. Great menu choice something for everyone, very relaxed dining experience will definitely return soon!